No cost to students 6th – 12th grade. Includes pizza, drinks, and socks required for all attractions. Parents can also play on the attractions for $5 each. 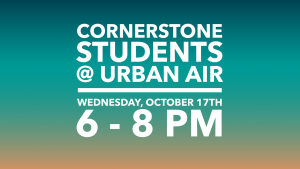 Contact students@cornerstonecommunity.com for more information.